Google announced the update of several products from its "Go" initiative, which were launched in the past year. The Go product suite aims to give people with low bandwidth connections and low-RAM devices the best possible Google experience. "We are offering new solutions to improve and expand access in Nigeria and across Africa; these launches demonstrate our commitment to Africa through products built to help people in Africa to make the most of the Internet," said Ehimuan-Chiazor. Google Maps Go: will now provide users with turn-by-turn directions, whether they're travelling by car, by bus or on foot. Android Go: Launched in Nigeria and 29 other African countries earlier this year, the Go OS gives people coming online for the first time a powerful and reliable smartphone experience. Across Africa, Transsion, Nokia, Huawei, and Mobicel have launched various devices, starting under $50. In a bid to make the internet more easily accessible to people in Nigeria, Google also announced that they will be launching Google Station for Nigeria: a program to provide high quality, high-speed Wi-Fi hotspots in partnership with 21st Century, one of the largest fibre network providers in Nigeria. "Google Station will be rolling out in 200 locations in five cities across Nigeria by the end of 2019, bringing Wi-Fi to millions of people," says Google Nigeria Country Director, Juliet Ehimuan-Chiazor. "Sites include markets, transport hubs, shopping malls, universities, and more. Nigeria is the fifth country to get Google Station, after India, Indonesia, Thailand and Mexico." Over 2.5 million of the 10 million Africans Google promised to train by 2022 have been trained through the Digital Skills Programme. 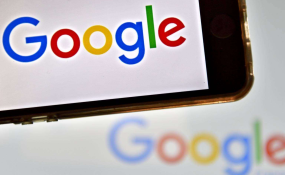 Google has trained a further 9,000 Africans in mobile app development and Google's Launchpad Accelerator Africa initiative graduated 12 promising startups from across the continent in June. process of the ongoing Google Impact Challenge, part of Google's $20m Google.org commitment to Africa over the next five years, closed with over 5,500 entries. The process of selecting the 36 finalists has begun.